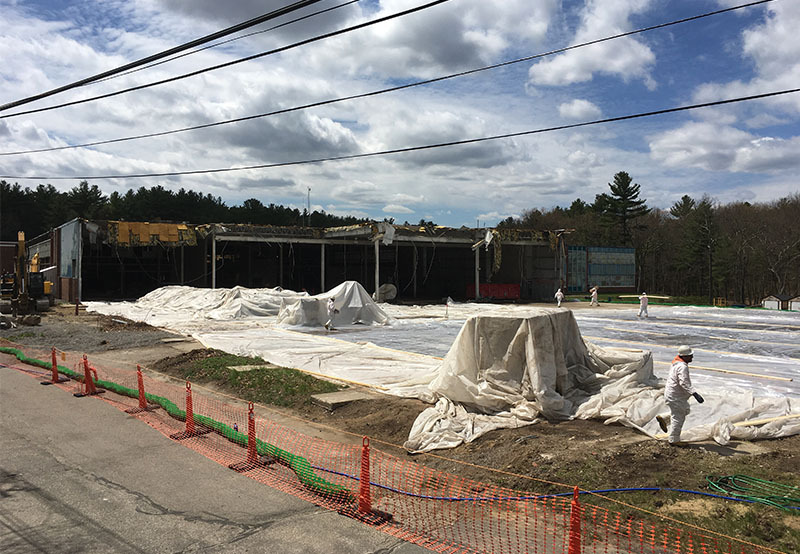 The Nuclear Metals site, a 46.4-acre parcel located in the western portion of Concord, MA, was used by specialty metals manufacturing facilities licensed to possess low-level radioactive substances from 1957 to 1972. These facilities conducted research and development primarily for the US Army and Atomic Energy Commission. Subsequent to 1972, the site was owned and operated by a company that developed a large-scale depleted uranium (DU) manufacturing operation under contract with the US Army. More recently, site activities included the production of beryllium-aluminum materials. 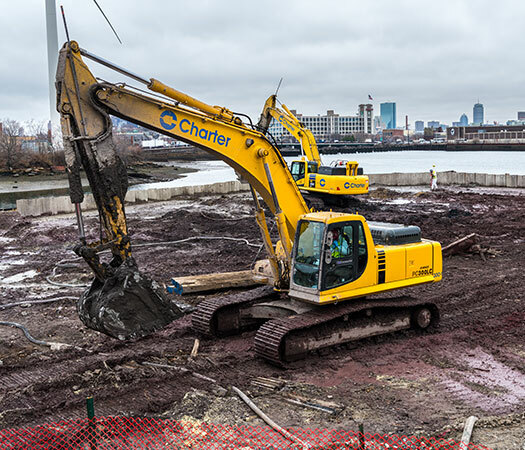 Charter conducted the demolition phase of a long-term Superfund cleanup effort at the former manufacturing facility, which produced depleted uranium products and specialty metal powders within the confines of the 185,000 SF complex. During each phase, Charter was at risk of exposing radiologically contaminated material due to the vulnerable state of the site infrastructure. 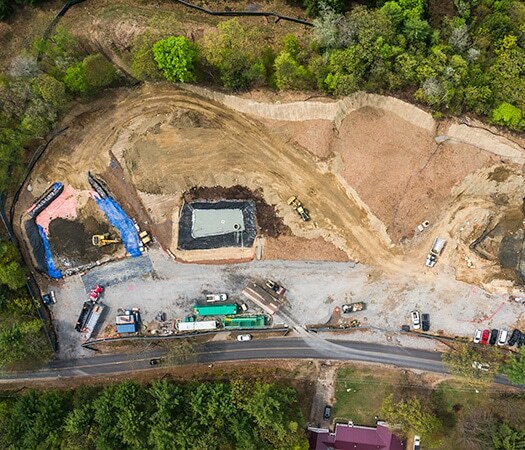 Through careful up-front planning, rigorous safety training and monitoring, and collaboration with the client, Charter successfully executed this phase of remediation minimizing potential risk for future work and the environment. 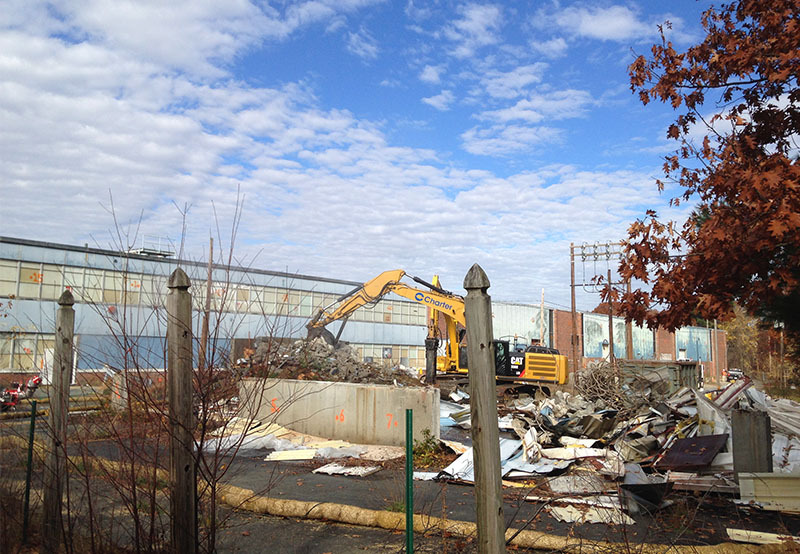 Proximity to neighboring homes and businesses called for a surgical demolition operation with limited disturbances to the neighboring communities in terms of migrant dust, debris, and noise. 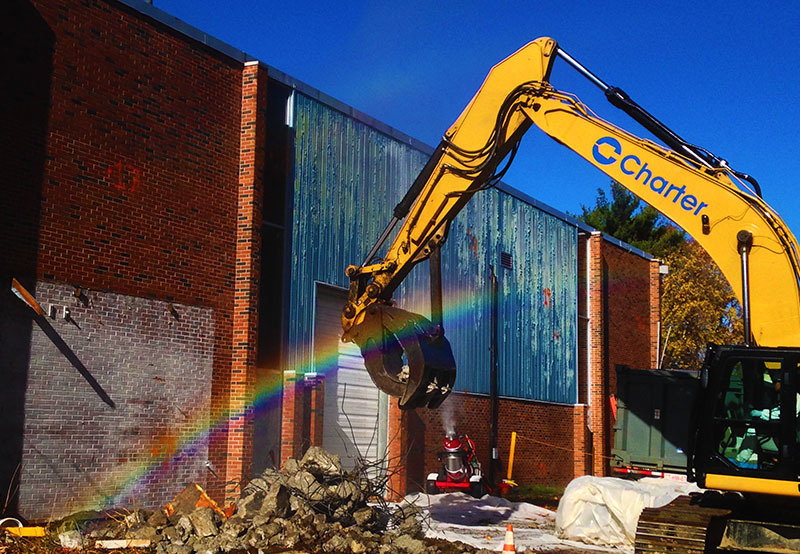 Charter safely dismantled and sized the debris and waste from buildings while deploying a constant spray of atomized mist to knock down dust particles associated with building demolition. Pre-demolition surveys were conducted to segregate hazardous wastes for proper disposal. Container loading took place in the Exclusion Zone to reduce the risk for spreading any contaminated material. Continuous radiological monitoring was performed for site personnel, equipment, and on each container of waste before ultimately sending all the waste streams to an approved disposal facility – over 12.5 MM pounds in all. 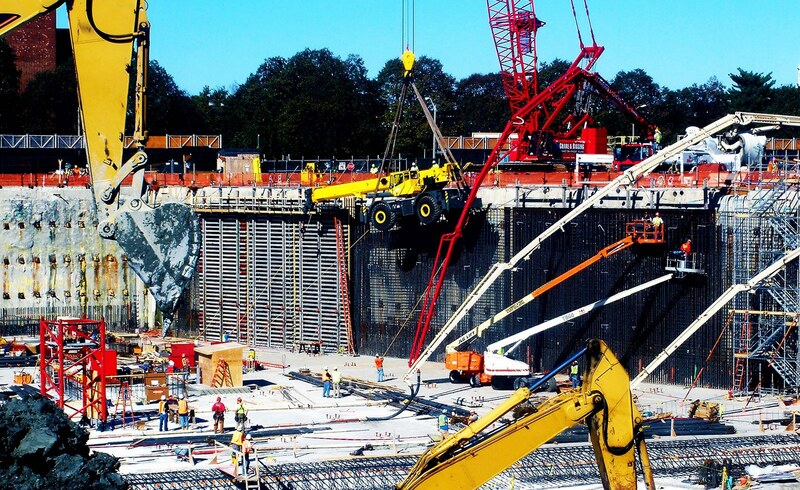 Earlier this year, ConstructionEquipmentGuide.com featured the work completed at the Nuclear Metals Superfund Site in Concord, MA. Well done to everyone involved in this complex project and thank you to de maximis for their leadership and technical excellence which allowed the project to be successful! 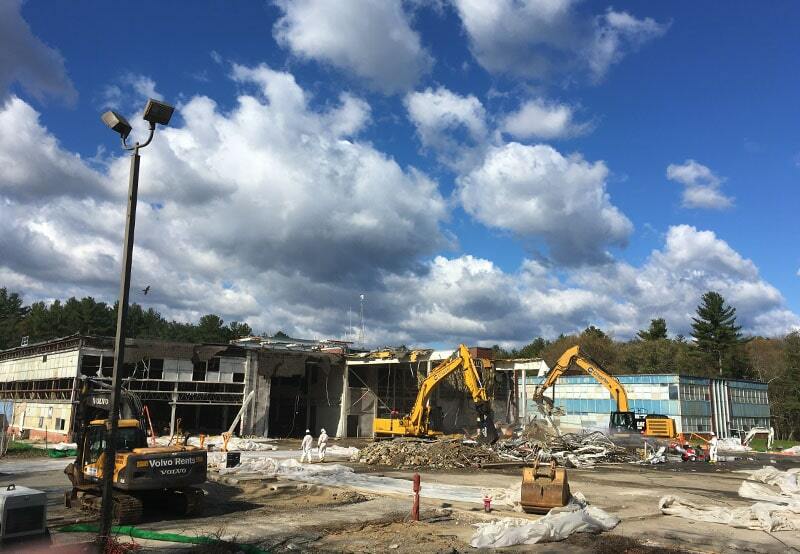 Charter is proud to have performed the controlled dismantling and demolition of this former nuclear research and depleted uranium weapons facility. This past Friday, June 24th, the Associated General Contractors of Massachusetts (AGC MA) held their annual Safety Breakfast to recognize AGC MA members for excellence in Safety. Charter was one of 44 members who were honored with the National Safety Award which recognizes firms that have developed and successfully implemented industry leading safety standards across its portfolio of work. Charter is excited to officially announce that we have been named to the 2016 Inc.5000 list of fastest-growing companies in America! We are honored to be part of such an esteemed list of companies considered to be movers and shakers.